The Amazing Spider-Man 2 is hitting movie theaters on May 2, 2014, as big fans of all super heroes, we can't wait to see the movie. 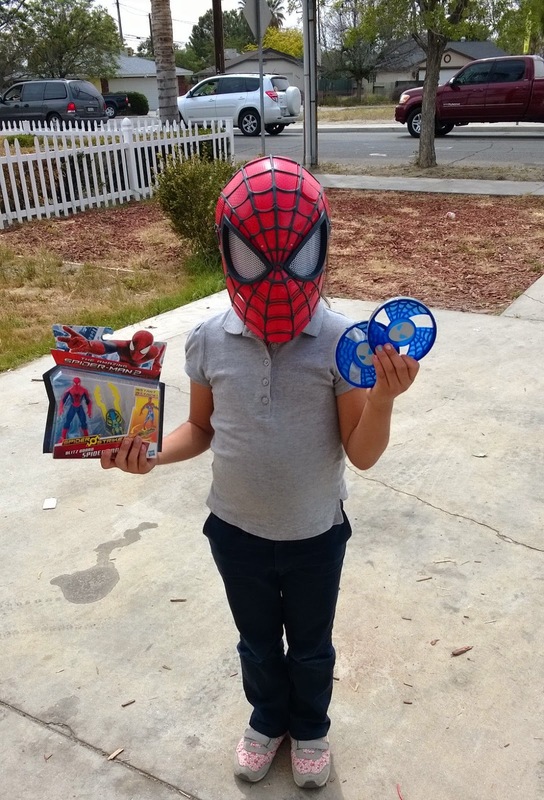 I have always been a big super hero fan, something that I have passed to my daughters and now my little Sammy. In my house we don't talk about being Wonder Woman or Bat Girl, here we talk about being The Dark Knight, Spiderman or Captain America. Super heroes are not just for boys, girls love them too! In preparation for the release of, Spider-Man 2 and CAPTAIN AMERICA: THE WINTER SOLDIER, Hasbro is launching a line of toys that will spur children's imaginations and get them to spend time playing with something other than technology. 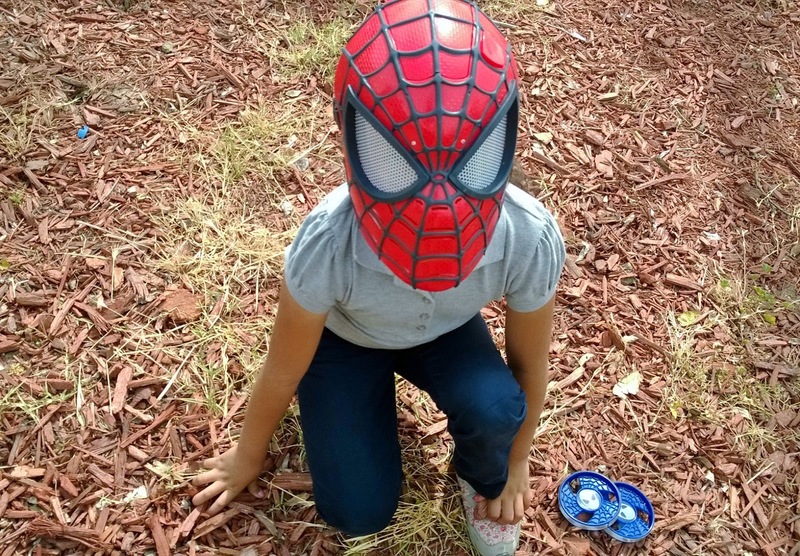 These toys are will provide kids with hours and hours of imaginative play and will let even little girls know that they too, can be Spidey. 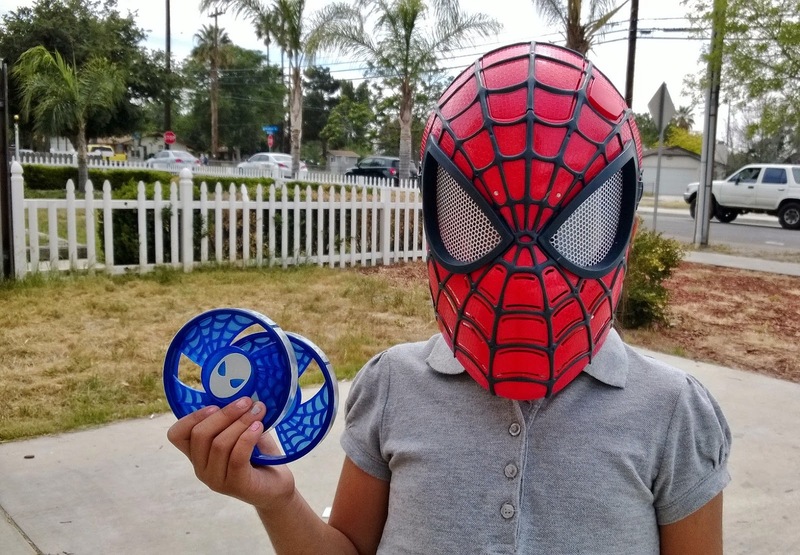 Nothing is cooler than a mask and we were excited to receive The Amazing Spider-Man 2 Spider Vision Electronic Mask, which is great for role playing and really getting into Spidey's head. LOL. 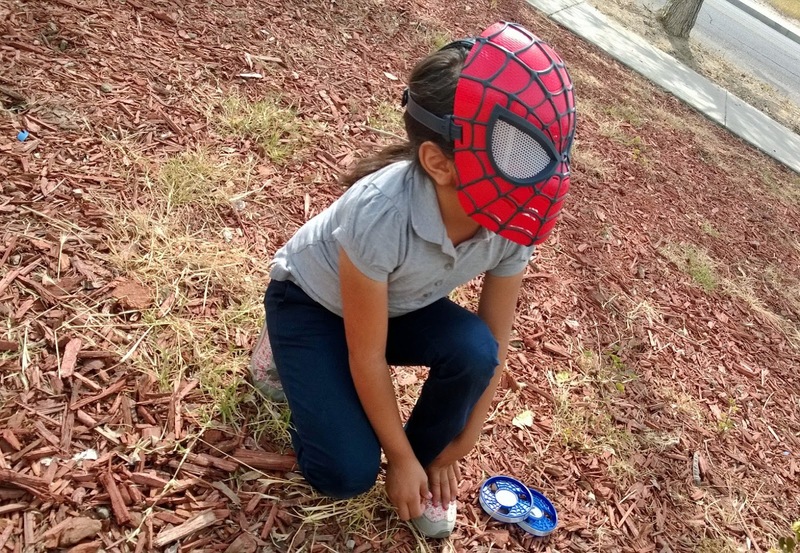 The SPIDER VISION Electronic Mask lights up and the light reflects off the two web discs that come with it, giving children the illusion of having Spider-Man's famous SPIDEY SENSE. The disks are pretty light but I would recommend letting the kids know not to throw in anyone's face or maybe even in the house, we let Sammy run crazy outside with them instead. 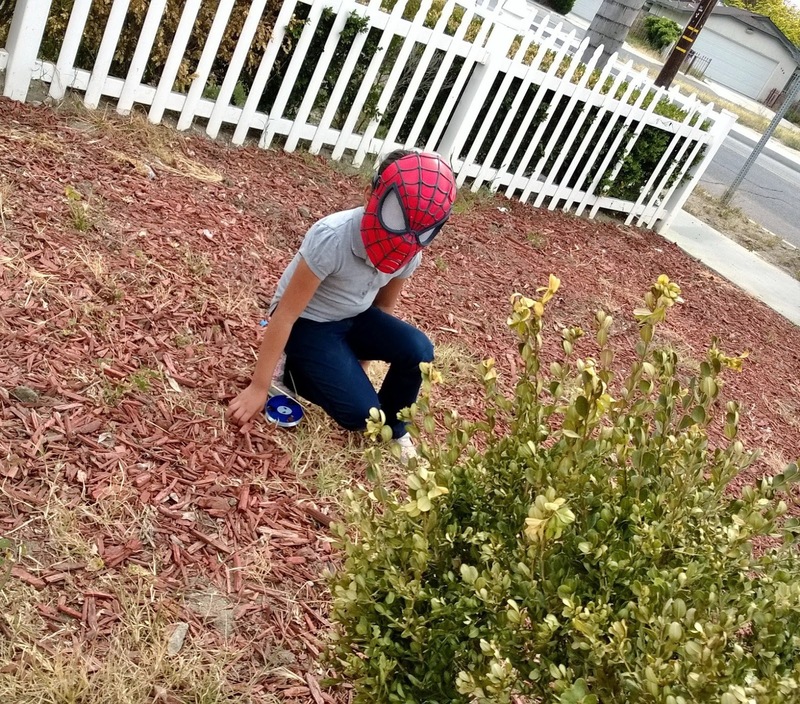 All you have to do is put the mask on your child, and they literally become Spider-Man! Lurking behind bushes getting ready for the attack! "Got you with my web disk!" It's not always easy for me to tear Sammy away from her tablet to go play outside, but toys like this make her want to go. 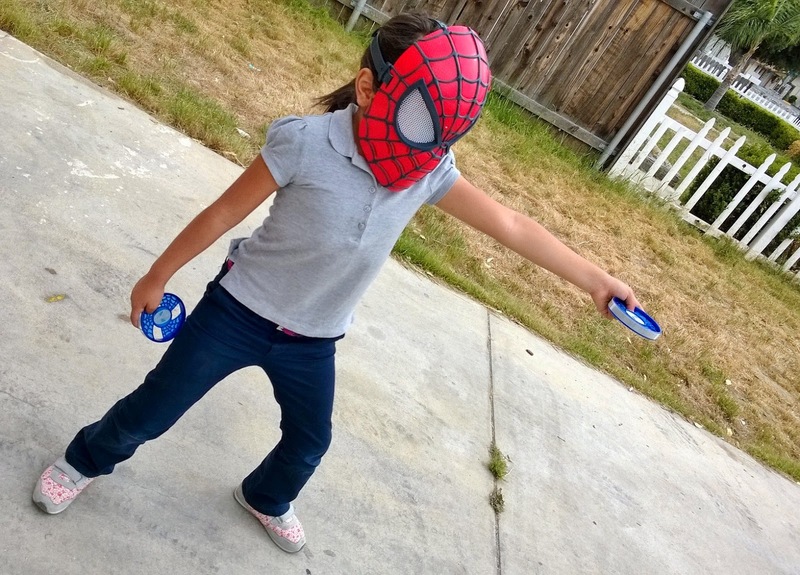 It also helps that the neighborhood kids think her Spidey mask is oh-so-cool. 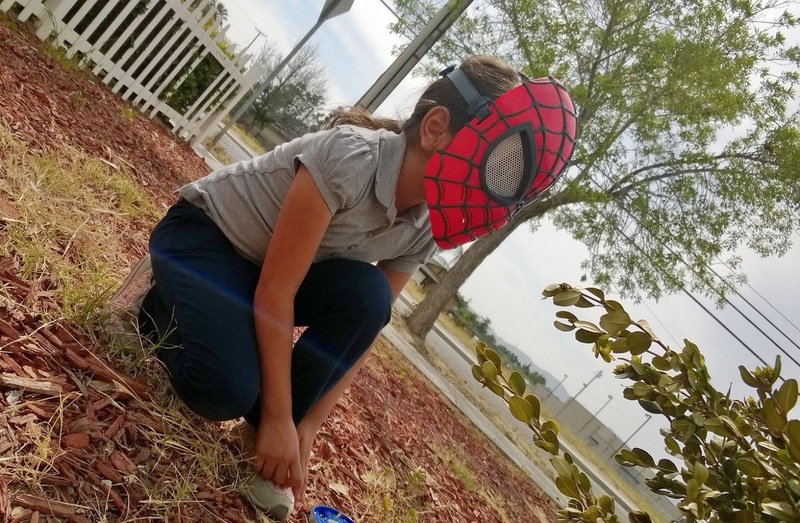 Who can rock flowered tennis shoes and a Spidey mask? Sammy can! Visit Hasbro.com to find out more about The Amazing Spider-Man 2 Spider Vision Electronic Mask and the Amazing Spider-Man 2 Spider Strike Blitz Board as well as other Hasbro Marvel toys that will let your kids imaginations roam free.